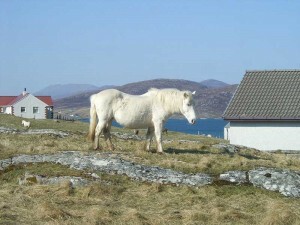 Eriskay ponies are the last surviving remnants of the original native ponies of the Western Isles of Scotland. They were crofters ponies, undertaking everyday tasks such as bringing home peat and seaweed and taking the children to school. Only the ponies willing to be trained and work hard, were retained, the others were culled. 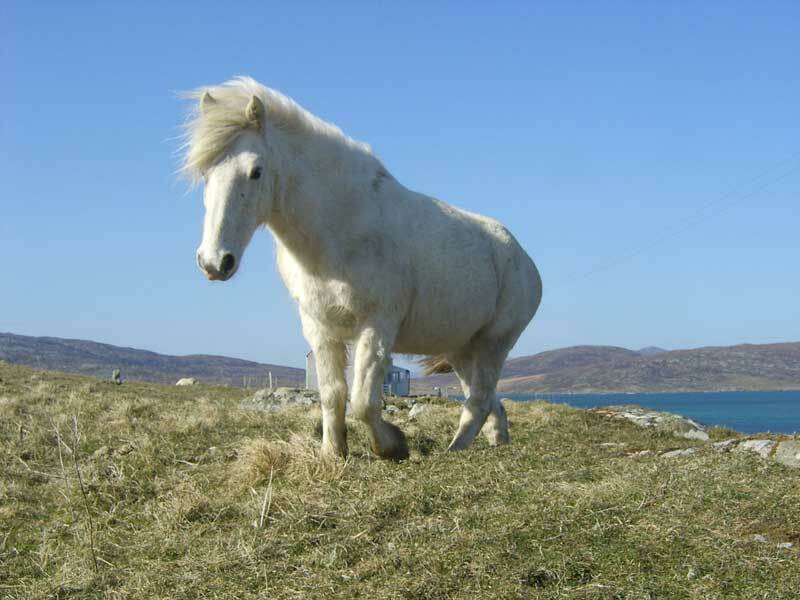 Over the centuries, the Eriskay ponies evolved into the hardy, versatile, people friendly animals that are recognised today. As Eriskay is so remote and due to difficulties with access, other breeds were not introduced, leaving a stock of pure bred ponies which had declined to a around 20 animals by the early 1970s. As the numbers became so desperately low, a group of people comprising a local priest, doctor, vet, scientist and crofters, got together and decided to save the ponies. Numbers have risen steadily and now there are over 400 ponies in the world. The Eriskay Pony stands between 12 and 13.2 hands. They are generally grey.